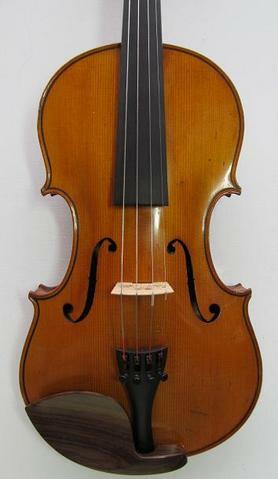 Early 20th Century violin unlabelled, Colin-Mezin school. Very high quality instrument. 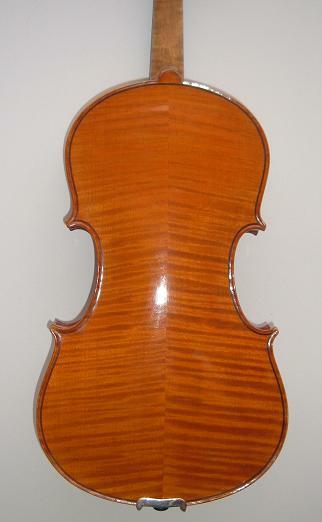 Beautiful two-piece back, strongly flamed. Golden oil varnish. Finely carved scroll, outlined in black. Very bright, clear and even tone with plenty of power. 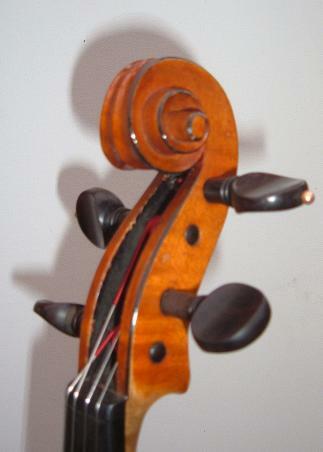 A lovely violin. Condition: One small wing crack, well repaired. 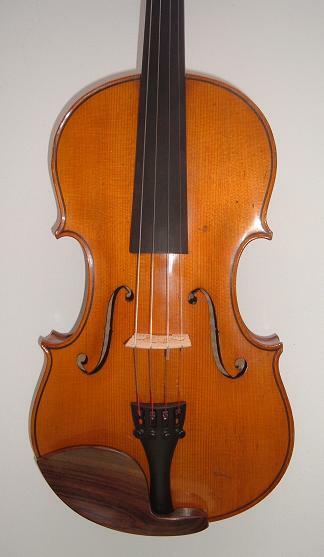 Usual minor knocks, scratches and dings for a violin of this age but generally very clean. Set up with new bridge, Tonica strings and Wittner tailpiece. It has three of its original gold-capped rosewood pegs, but unfortunately I had to replace the fourth, so it has no gold cap.